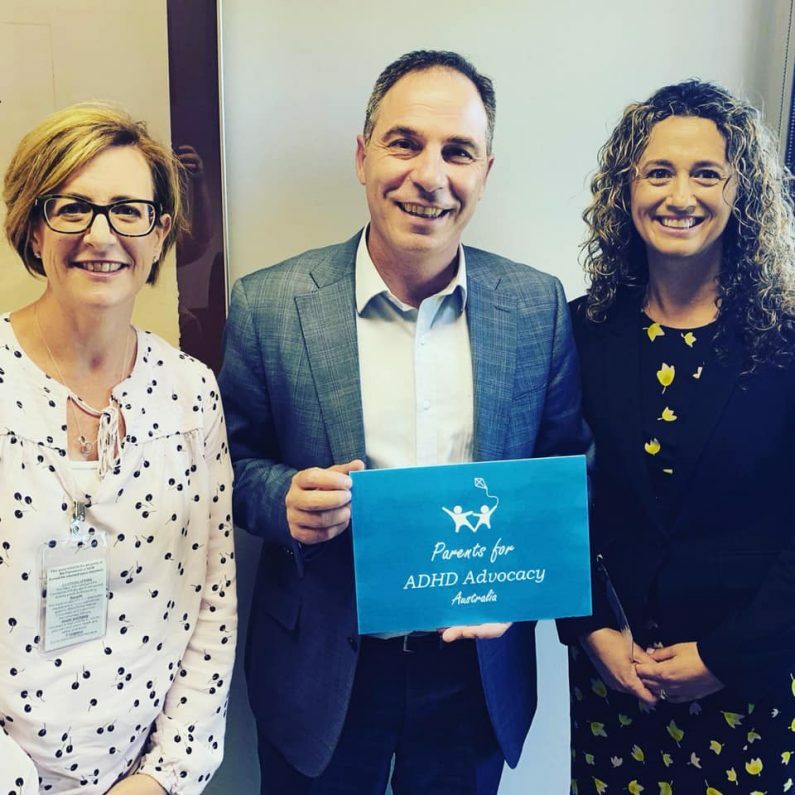 On Monday October 22, Lou Kuchel, Rimmelle Freedman and Doris Hopkins met with the NSW Shadow Minister for Education, Jihad Dib, to highlight the needs of young people with ADHD. We discussed the need for clear recognition of ADHD in school policy, funding for support resources and professional development for educators. We described some of the challenges that kids with ADHD currently face in schools, and emphasised the need to change the situation. It was a positive meeting, and we are happy that the ADHD message reached its mark.